That fact that this snake is okay with wearing this ridiculous hat is amazing and hilarious. 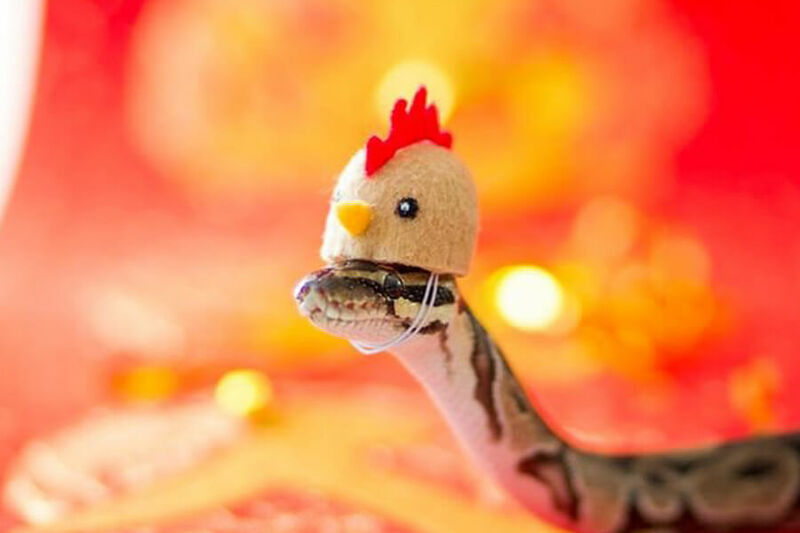 Yes, this snake is wearing a chicken hat. After years of not fitting in with its own kind, it decided to take matters into its own hands and become a new animal entirely. We’re not sure this little fella will fit in with the chickens, but kudos for trying. Just remember, don’t eat the eggs, it will give you away! Up next, a royal snake you don’t want to miss!